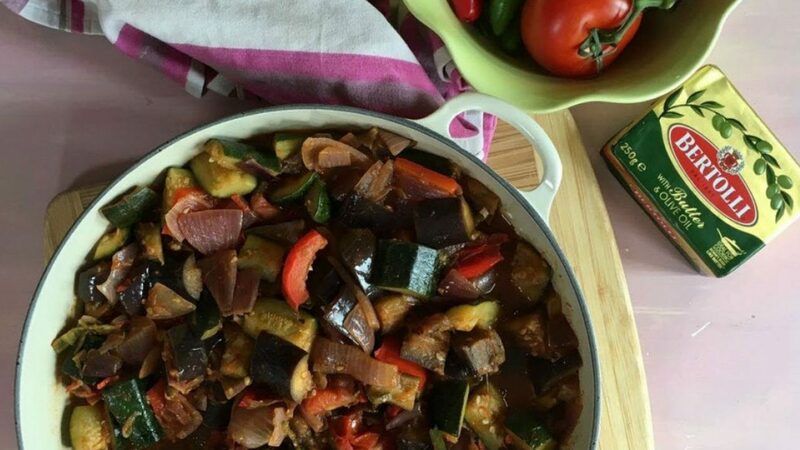 Here is our super tasty spiced vegetable ratatouille using Bertolli with butter and olive oil. It is a delicious warming meal filled with healthy veggies which can be eaten on its own or blitzed as a pasta sauce or over rice. CHOP and prepare all the veggies, except the chillies, by chopping into similar size chunks. ADD the pepper, onions & garlic and cook for 3-4 minutes until soft the add the sugar.